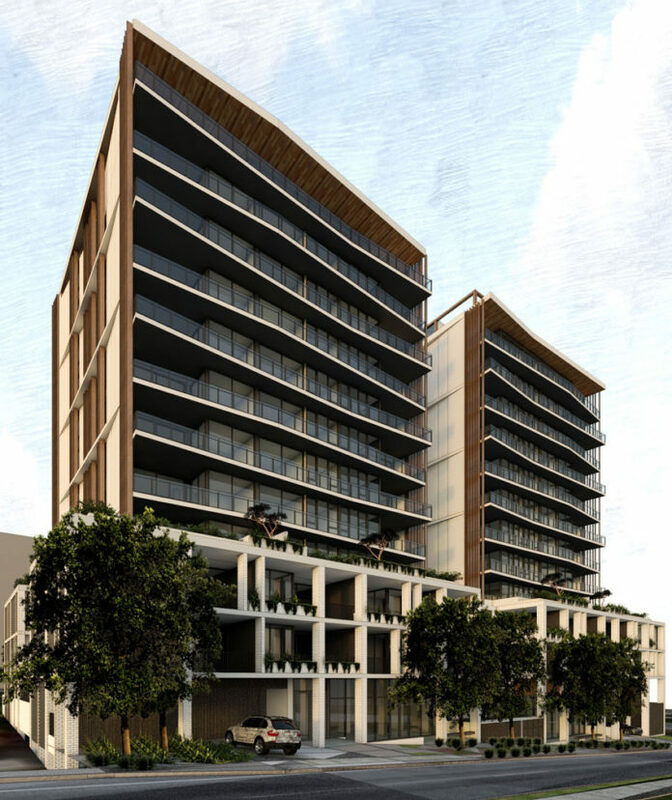 A development application has been submitted by Pingrishang Estate Australia Pty Ltd for a twelve-storey dual-tower development located at 49-57 Sparkes Street, Chermside. 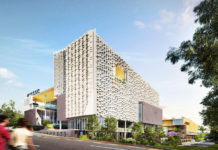 Designed by Mode Architecture, the development comprises of 108 1, 2 and 3 bedroom residences as well as a ground level 298 sqm commercial tenancy. 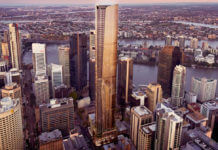 According to the development application, the project seeks to deliver a higher quality design through double tower and podium form which helps to reduce the visual impact of a continuous tower. 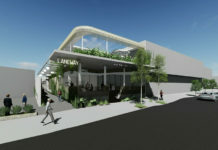 Such a design facilitates increased permeability and associated benefits of access to breezes, sunlight and sightlines. The building footprint has been pinched in on the east and west facades. This assists with maintaining sightlines, reducing overlooking across buildings, whilst also giving the building form a slender appearance. The facade of the building has been designed to achieve a visual reduction in building bulk and scale. 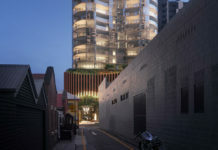 Rising from the ground floor will be strong focal columns with cascading landscaping that transitions the use from public commercial tenancies to private residences. Cantilevered corner balconies reduce the building mass and incorporate screening elements where appropriate for privacy as well as garden planters for vertical amenity. Environmental Sustainable Design principles are considered with each apartment enjoying a dual aspect configuration giving opportunities for cross ventilation for day-time and night-time living. The design response celebrates subtropical living with an emphasis on outdoor living by incorporating planting and landscaping to podium terrace and rooftop. 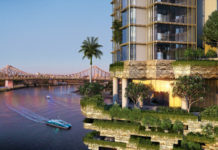 Rooftop recreation decks are planned for both towers which would feature subtropical landscaping, BBQ and dining areas, breakaway space, a timber deck and space for artificial turf. The development will be replacing five detached houses on Sparkes Street which has a site area of 10,302 sqm with the development site cover taking approximately 80.44%.  The development application number for this project is A004786815.